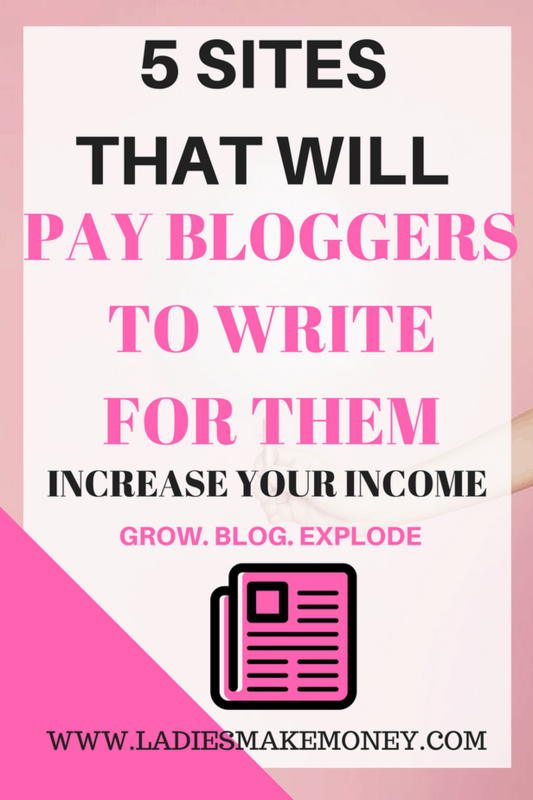 Did you know that you can increase your blog income by writing for other blogs? You can either do Freelancing work, apply for affiliate programs and review products or do some sponsored blog posts. 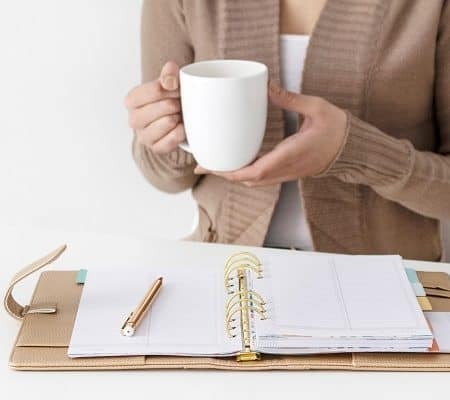 These are great ways to earn a real income working from home. We have compiled a list of 5 sites that will pay bloggers to write for them. Before we get started on how you can get paid to blog, we would love for you to join our growing Facebook group right here! You can also join our Pinterest group by scrolling to the bottom of this page! If you are looking for guest blogging opportunities or if you need a personal affordable coach to take you from A-Z, we can help you. Get all the juicy details right here! Have you seen our brand new shop! If you are looking to start making money as a blogger working from home, working with sponsored posts or freelancing is the way to go. Especially as a beginner, it feels absolutely amazing to get paid to blog and write articles from home. 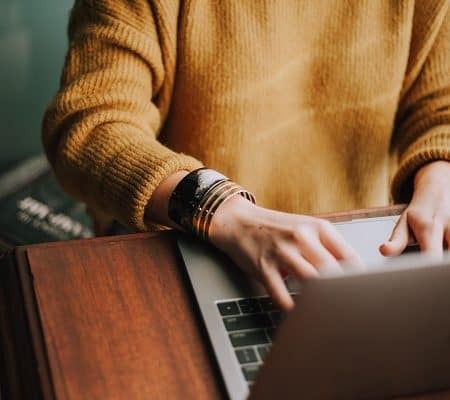 We have rounded up a few amazing sites that will pay bloggers to write for them, hoping you can land a few writing gigs. 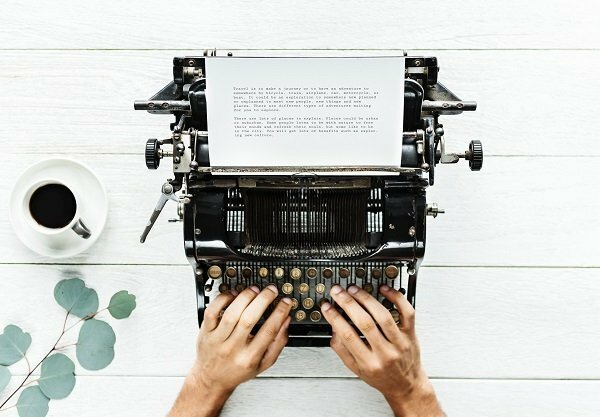 If writing is your passion, be sure to sign up these opportunities below. We have mentioned a few of these sites before on our site, but Maven is amazing. If you really want to make money from your blog, then you will sign up for this amazing site. Once you sign up, they are several ways for you to monetize using this site. You can monetize by clipping and be sharing items you find online. And you can definitely monetize by receiving paid opportunities. These opportunities pay anywhere between $50 to $300 per post depending on your niche. What is the secret here? You need to complete your profile in full in order to be considered. This means adding your blog URL so they know what you blog about. We just had to mention it as one of the sites that will pay bloggers to write because you can make some serious money with them. Go ahead and sign up for Maven. Another of my favorite sites that will pay bloggers to write for them is Linqia. Linqia typically wants you to have over 2,500 followers to your blog per month minimum. 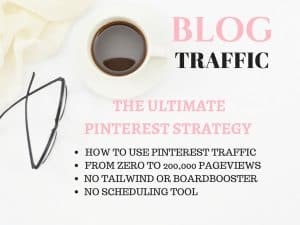 This can easily be achieved by using Pinterest to boost your blog traffic. If you have a great following on Pinterest or Twitter, they will also consider approving your application. If you want to be considered, please go ahead and sign up for Linqia right here. Once you are all signed up, all opportunities are emailed to you. You can then start to monetize your blog and start earning money to write articles from home. 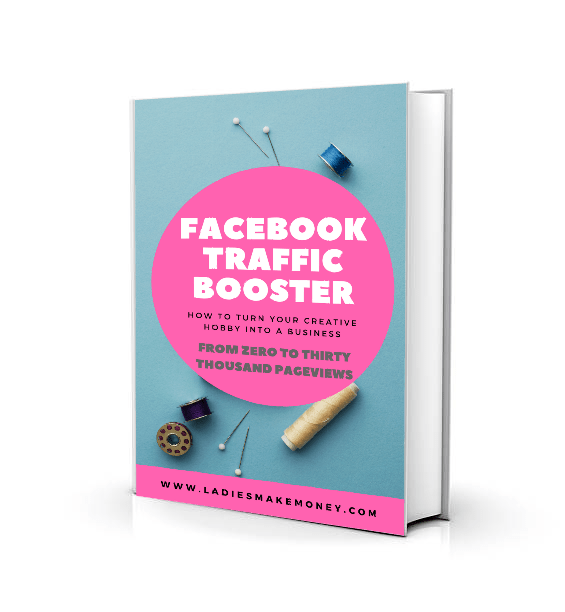 You might also like: How one blogger went from Zero page views to over 200 thousand page views. Now that we have that out of the way and you are all signed up, you pick publishers that are in your niche to promote. The best way of promoting them is to write up a review or a tutorial, whichever is applicable. Some of the publishers that I am promoting that are within my niche is: Fiverr! You can also create your own opportunity under the “Opportunity Market Place“. You can create opportunities for advertisers to promote on your blog. This is amazing as you can pick and choose what you want to be featured on your site. Pretty cool. This is great for those that are looking for better ads on their sites. You pick how much you want to get paid. Go ahead and sign up for AWIN! Want another reason to sign up for AWIN? Once you sign up, you can become an affiliate and make $30.00 per referral. What? Refer just 10 people and make $300, yes please! Where do I sign up? How to make a sale with affiliate marketing in less than 24 hours. If you blog, you should be using Grammarly. It corrects any grammatical errors you may have, spelling mistakes and much more. It’s the really the best blogging tool out there. If you are not using it, sign up for FREE here. Once you are signed up, you can sign up for their affiliate program. 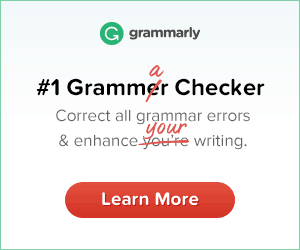 Although not much, if you write a blog review on Grammarly, you will get paid $25. Not too shabby! So what are you waiting for? Sign up right now! 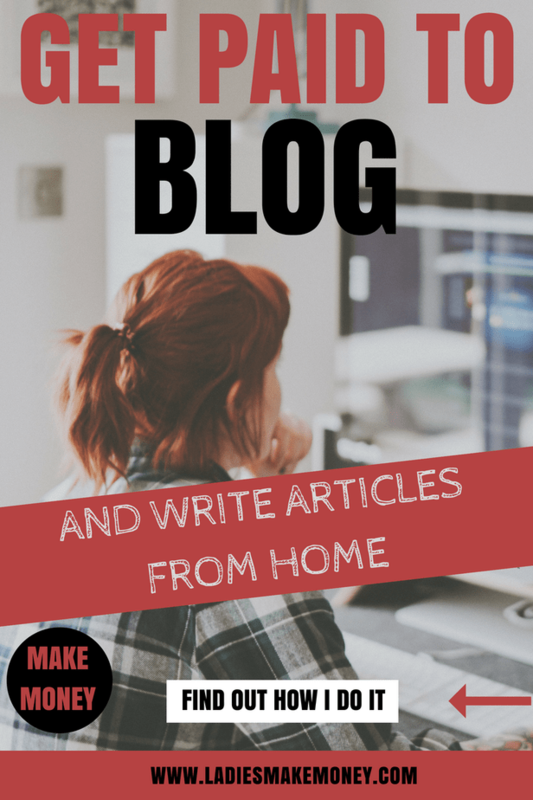 It’s a great way to get paid to blog and write articles from home as a beginner. As you can see, they are literally sites that will pay bloggers to write. They are so many sites that will pay bloggers to write but my favorite site is “Work online blog“. They pay a good $50.00 per article. The application process is pretty easy and simple. They prefer two types of articles. A blog or list type articles which should be 1500 words or more. A blog article should be about real advice and experience that you have had in your career as a contractor or a business person. A list article should have a minimum of 20 items with a short description of each list. 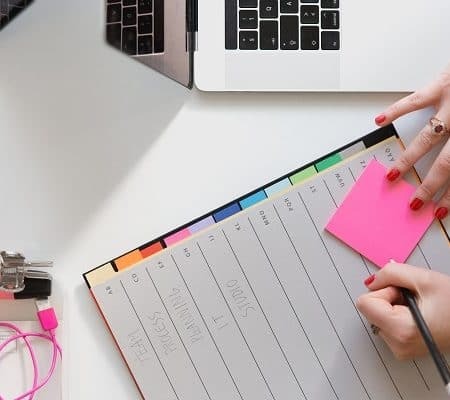 The list should be a resource list, tips and tricks, advice or anything that may benefit a business or contractor trying to grow their online business. Find writing gigs has never been easy as they are so many sites that will pay bloggers to write for them. They need you! Listverese. Money Pantry, MetroParent, The Ultimate Bundles, The Penny Hoarder, Knowledge Nut, HowlRound, Her View From Home, Doctor of Credits, & Matador Network. As you can see, they are so many sites that will pay bloggers to write articles for them. If you research online, you can definitely find more options. Its a nice side hustle to get paid to blog and write articles from home. 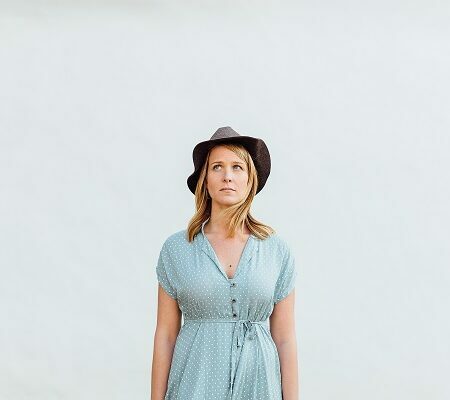 Great blog, kep it up! Hi, Nice Article. how do we know that these sites are legit? We only post and share legit and well-trusted information. And you can check it out for yourself before making a decision. How did I not know that these exist?! Thank you so much for this post! I never heard of these sites! Great tips as usual! Hello guyz for any type of fashion related blog simply go to hushgloss.com and get updated. I’ve never heard of Maven, I’ll have to check it out. Thanks for sharing! I had never heard of any of these. Thank you for the great tips! I haven’t heard of any site in here other than Grammarly. Will try out them all. I was just searching for sites that pay people for writing and came across this. I haven’t heard of Maven, but I will be checking it out. Some other sites includes Mturks, Toptal, Upwork, Horkeyhandbook, etc. Thank you for more suggestions.